Buy/Sell/Trade / Re: alphonse elric armor costume for sale. Do you still have this suit? I don't see any updates on this but if you do then I am highly interested in it. It's not really a cosplay but I will be in my fursuit for most of the convention. Cosplay! Construction, Tips, Gatherings, Advice / Re: Fire Emblem 2014 Interest? I posted in the Facebook page but I wanted to confirm here as well. I'll be attending as the tactician class from fire Emblem: Awakening. I cosplayed as Morgan from Fire Emblem Awakening on Friday and Saturday and will be tomorrow. 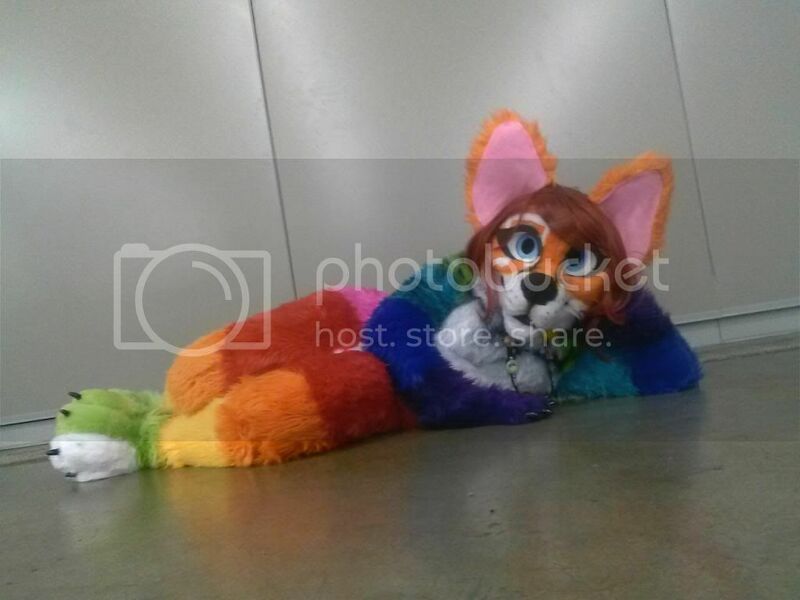 I also cosplayed as my original fursona Fayt. She is a rainbow fox with a LoZ triforce "tattoo" on her back and Nojiko's tattoo from One Piece along the right arm and chest. I'd really appreciate pics of myself to be thrown my way~! Cosplay! Construction, Tips, Gatherings, Advice / Re: 2013 "Tales of" Series Gathering! I might go as Lloyd from Symphonia if I don't sell my cosplay beforehand online or at the swap meet... Kinda doing a closet cleaning right now and selling all of my cosplays to afford rent. If I do sell him, I may just go as Hermana from Tales of Innocence. Buy/Sell/Trade / Re: WTS Mangas, DVDs, Games, Cosplays, and more! How much for the YuYu Hakusho? For the DVDs, $20 each set or $35 for both sets. 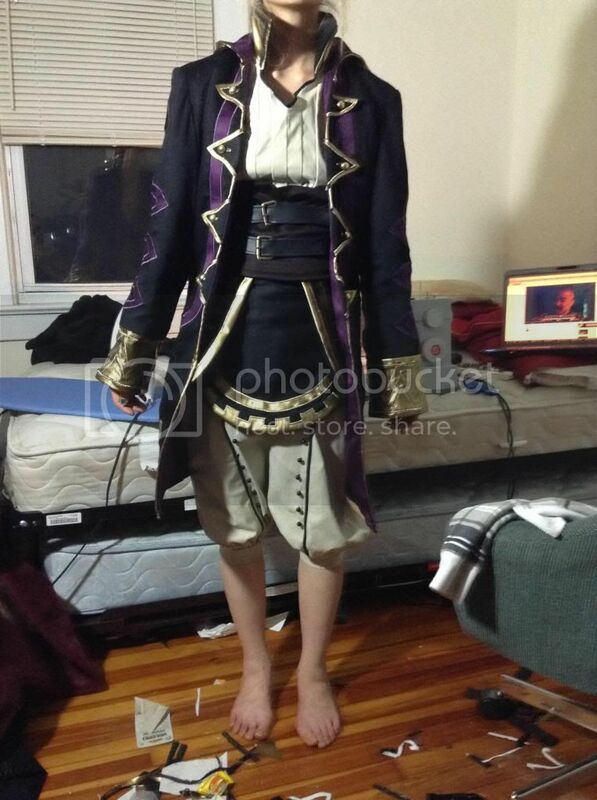 Got anymore cosplays other then the ones in the album you selling? What are the measurements on the celty cosplay? I saw that you are selling those masks. Are you going to the fanime? how much for the ps1/n64 games? You'll have to tell me which you are interested in because each price is different, especially the Tales of Destiny II game w/ stategy guide because both are extremely rare. I did have a question about the panel though. Would we be able to meet up beforehand so that we will all be able to meet and go over what to expect at the panel? I'll be there as Zero (Lelouch's disguise from Code Geass) for sure! When you say Fountain though, you mean the one directly in front of the convention center correct? Was there a specific side of the fountain you had in mind? I may be able to make this as Rhyme if my schedule fits. I should be able to go if my group gets everything with our room taken care of beforehand. A woman dressed in the garb of the Tracy household maids steps into the room. Her shoes seem to make almost no noise as they carry her closer to the group. "I hope that I will not disappoint," as she speaks, Hannah lightly presses a hand to her bandaged left eye. "...My young master would be most upset if he ever learned that I, Hannah Anafeloz, failed him." Upon reaching the group, Hannah, with a graceful motion, dips into a trained bow. "His happiness is my happiness. And, if I am required to represent the Trancy household alongside Faustus Claude, so be it."